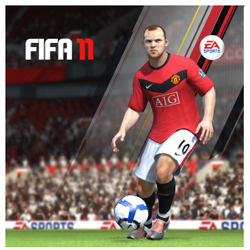 Electronic Arts Inc. has revealed that its top-selling franchise from EA Sports™ will redefine player authenticity when FIFA Soccer 11 launches this Fall. FIFA Soccer 11 reinvents player authenticity – on and off the ball – for every player and at every position on the pitch with Personality+, an all-new feature that sees individual abilities reflected in game, enabling clear differentiation for every player. Interactive Ontario has announced that ‘Open Mobile’ Author Ajit Jaokar, Founder of futuretext in London, UK will keynote the iP3 Forum on June 21st in Toronto. During his keynote presentation, Ajit will explore the future of mobile and web technologies, and how an open ecosystem could drive innovation in technical and business strategies. realtech VR has released Beware of the Bad Seed 1.0, a new fast-paced arcade game for iPhone, iPod touch and iPad (in high resolution) where players must protect the magical garden and save the daisy against never ending waves of naughty carnivorous plants. Beware of the Bad Seed is an addictive and sweaty revamped version of the arcade room classic “Whack a mole” with a 3D, vegetable twist. Use your finger to hit all the carnivorous plants and make sure not to hit the daisies that appear on the screen. Victoria’s Tecagora Solutions is pleased to announce that Snapact Photo Manager is now available through the Intel AppUp Center. Have you ever carried 100 books in your pocket? 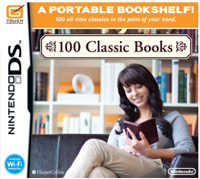 On June 13, people who own any one of the Nintendo DS™ family of systems can buy 100 Classic Books, a compilation of some of the greatest works of classic literature. But the best part is that the entire collection is available at a suggested retail price of just $19.99. And users with broadband Internet access can wirelessly download 10 additional books at no extra charge. The Canadian Film and Television Production Association (CFTPA) released an important new study (PDF) today showing that independent producers continue to receive little or no compensation from Canadian broadcasters for the digital rights to their programming. Wattpad has launched its annual writing contest, The Watty Awards. During the MTV Movie Awards on June 6th, Wattpad joined thousands of fans online to chat about the show and announce The Watty Awards. The Honourable James Moore, Minister of Canadian Heritage and Official Languages, today announced the results of the Investment Canada Act Review of the Icahn Group’s application to acquire control of Lions Gate Entertainment Corp.
Today, 30 Grade 10 students from coast to coast are on their way to securing a post-secondary education as recipients of this year’s CIBC Youthvision Scholarships, valued at up to $36,000 each. This one-of-a-kind program has already helped 330 previous winners fulfill their academic aspirations in the last 10 years from a multi-year $10 million commitment from CIBC. Winners of the CIBC Youthvision Scholarship receive six summer internships through the YMCA that begin right after Grade 10, valued at up to $20,000; and tuition for four years, valued at up to $16,000. They also receive ongoing mentoring from either Big Brothers Big Sisters of Canada or the YMCA until they graduate from their post-secondary education. 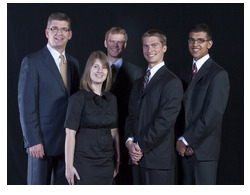 Renowned for connecting people and systems to global mobile broadband networks, Peer 1 Hosting was named Company of the Year at the 2010 Technology Impact Awards (TIAs) hosted by the BC Technology Industry Association (BCTIA). The 2010 Person of the Year Award went to Ward Chapin, former CIO of VANOC, the organizing committee of the Vancouver 2010 Winter Olympic and Paralympic Games, for his responsibility in overseeing the complex IT environment behind the games. Chapin is to be congratulated for recruiting and leading a highly productive, effective and motivated team. Clients of VANOC’s IT infrastructure included nearly 7,000 athletes and officials, 50,000 workforce members, 10,800 media personnel and 3.5 billion TV viewers. Earning the Community Leadership Award was full-service interactive agency FCV with its corporate HELP philosophy. HELP which stands for Health, Emergency Response, Learning and Participation is a strategic framework to make BC a better place to live, work and connect. At the centre of FCV’s HELP network is the belief that we’re all a part of something bigger – an ongoing movement that inspires people to achieve and to contribute to their community. Best Application of Technology: Nexterra Systems Corp. Excellence in Product Innovation: Simba Technologies Inc. Most Promising Start-up: Indicee Inc.
Also at the Technology Impact Awards, eight British Columbia students were awarded a combined $11,000 in scholarship grants from the BC Technology Industry Association (BCTIA). The scholarship awards were presented by the Honourable Iain Black, Minister of Small Business, Technology and Economic Development. The seventh round of 33 winners has been selected from the United States, Canada, United Kingdom, Ireland, New Zealand, Malaysia, Singapore and India, and winners will receive cash prizes totaling $18,060. In addition, Australia has selected 39 more winners and will be awarding alternative prizing including an XBOX 360 and special The 39 Clues prizes. This entry was posted on Wednesday, June 9th, 2010 at 12:00 pm and is filed under Associations, Awards, Business News, Careers, Casual, Contests, Digital Products, Education, Events, Everyone, Government, Mobile, National News, New Releases, Rating Pending, Research Studies, scholarships, Software, Sports, Upcoming Releases. You can follow any responses to this entry through the RSS 2.0 feed. You can leave a response, or trackback from your own site.